Hilary Rosen set off a storm by denigrating Ann Romney, but how real was it? 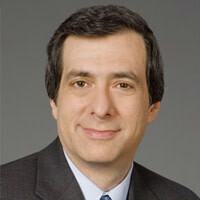 Howard Kurtz on the politics of anger. I’m not letting Hilary Rosen off the hook for her dumb swipe at Ann Romney, but the howls of outrage are getting to be a bit much. You’d think the CNN prognosticator had gone to the Romney mansion, leapt over a couple of Cadillacs, and hit the candidate’s wife in the face with a cream pie. It was merely the latest example of the manufactured outrage business. Somebody in public life makes a stupid remark, and grown adults practically faint, so stricken are they by the offending words. It’s faux political theater of the kind that can grip cable-news outlets for days. To be sure, Rosen’s blunder was idiotic on a dozen levels. By carping that Ann Romney “never worked a day in her life,” she sounded like a Washington elitist denigrating stay-at-home moms. She splattered mud on a sympathetic spouse who has suffered from breast cancer and multiple sclerosis. She handed the Romney campaign an opportunity to flip the Democrats’ “war on women” charge against her party. She doubled down by continuing the attack on Twitter before finally backing down. Wolf Blitzer had to press her to apologize on camera, and even then she was going to extend the agony on Meet the Press until coming to her senses. As a former lobbyist with ties to the Obama establishment, Rosen became the perfect stand-in for a Democratic Party that conservatives could portray as hostile to traditional mothers. Little wonder, then, that the president, Joe Biden, David Axelrod, Jim Messina, and others rushed to criticize her ill-chosen words. That, too, was a highly offensive comment, for which he apologized, but liberals did their best to fan the flames for weeks—some even launching a boycott campaign—long after the shock value had worn off. Rush and his defenders then started attacking those who were attacking the radio host for trying to silence him. This is the inevitable second round, the anger counteroffensive. Of course, we could spend all our time obsessing about outrage-inducing utterances. During the Rosen flap, Republican Rep. Allen West said he believed there are “about 78 to 81 members of the Democratic Party that are members of the Communist Party.” Huh? Is red-baiting back in fashion? But West’s libel drew little attention because of all the Hilary hating. It helps if an over-the-top statement taps into the culture wars; nobody much cares about commies these days. The verbal misfire must seem to symbolize a serious issue, but actually spares everyone from having to debate the issue (the relative merits of Obama’s and Romney’s policies toward women) in favor of ganging up on the gaffe. But so much gets overlooked. Here’s an uplifting message tweeted by Bill Donohoe’s Catholic League: “Lesbian Dem Hilary Rosen tells Ann Romney she never worked a day in her life. Unlike Rosen, who had to adopt kids, Ann raised 5 of her own." Writes journalist Lauren Ashburn: "As an adopted Catholic woman, I wonder how Donohoe can sleep at night.” Yet the anti-gay slur was drowned out by the Rosen ruckus. And how about Romney adviser Eric Fehrnstrom, also on CNN, likening the boss’s coming general-election campaign to an Etch a Sketch? That had more than a scintilla of substance—is Mitt actually a political shape-shifter?—but mostly produced a week of mocking jokes about the shake-’em-up toy. Presidential candidates have each syllable scrutinized, as they should—Mitt liking to fire people, Obama dismissing bitter hicks clinging to guns and religion—although here too, the professional punditocracy often ignores what they meant to keep the game going. Candidates for first lady also can be put in the penalty box: Hillary Clinton announcing she could have stayed home and baked cookies; Michelle Obama saying she was proud of her country for the first time. But Ann Romney hadn’t said anything untoward, other than her cheeky statement that it was time “to unzip him and let the real Mitt Romney out.” Which is why Hilary Rosen’s thoughtless denigration of her raising five sons seemed like such an unprovoked slap in the face. Guess it’s time for me to go back to being mad about it.